What is history? And why do people value it? Basing his inquiry on fieldwork near Guadalajara in west Mexico, anthropologist Trevor Stack focuses on one reason for which people commonly value history—knowing history is said to make for better citizens, which helps to explain why history is taught at schools worldwide and history questions are included in citizenship tests. Stack combines his Mexican fieldwork with his personal experience of history in Scottish schools and at Oxford University to try to pinpoint what exactly it is that makes people who know history seem like better citizens. Much has been written about national history and citizenship; Stack concentrates instead on the history and citizenship of towns and cities. His Mexican informants talked (and wrote) not only of Mexican history but of their towns’ histories, too. They acted, at the same time, as citizens of their towns as well as of Mexico. 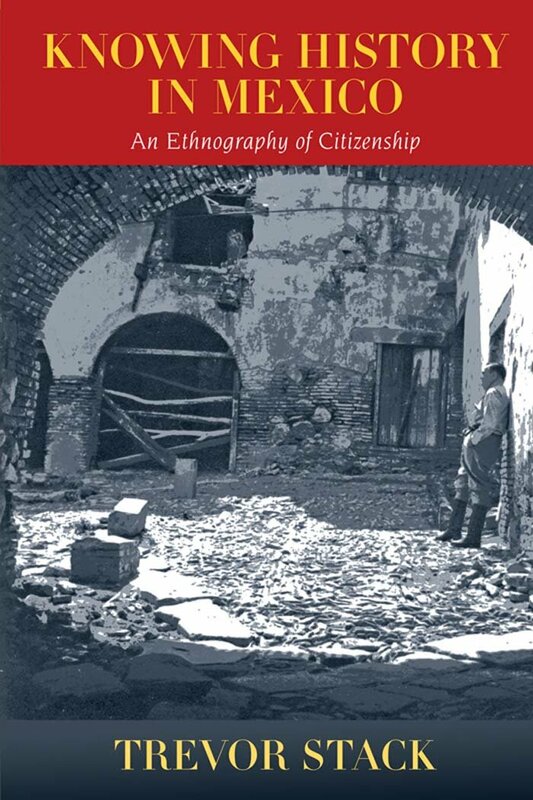 Urban history and citizenship are, the book shows, important yet neglected phenomena in Mexico and beyond. Rather than setting history on a pedestal, Stack treats it as one kind of knowledge among many others, comparing it not just to legend but also to gossip. Instead of focusing on academic historians, he interviewed people from all walks of life—bricklayers, priests, teachers, politicians, peasant farmers, lawyers, laborers, and migrants—and he also draws on a talk about history by the famous Mexican novelist Juan Rulfo. As an ethnography, Knowing History in Mexico provides a vivid portrait of ethnicity, lands, migration, tourism, education, religion, and government in a dynamic region of west Mexico that straddles the urban and rural, modern and traditional. Trevor Stack is the director of the Centre for Citizenship, Civil Society and Rule of Law at the University of Aberdeen, where he also teaches in the Department of Hispanic Studies.